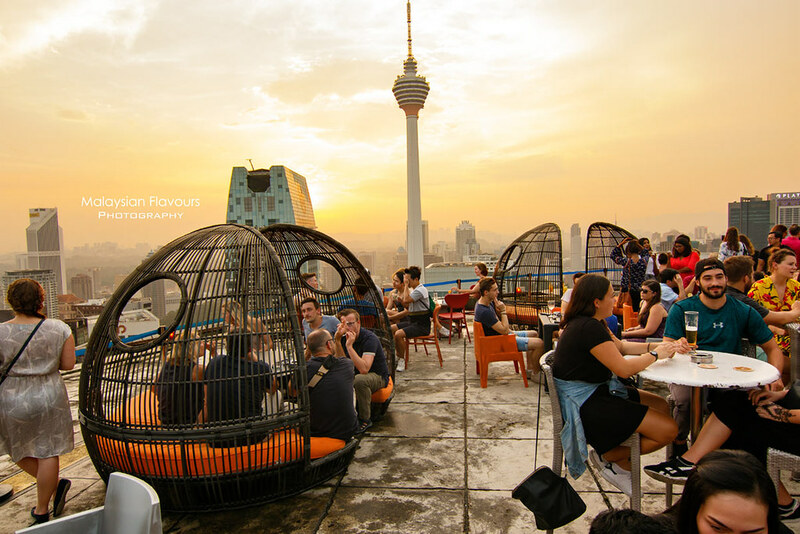 Top Sky Bars in Kuala Lumpur, Places for Best Sunset View in Kuala Lumpur, Top Locations for Breathtaking 360° views of KL City Skyline – Heli Lounge Bar, Kuala Lumpur, or sometimes known as Helipad Bar KL, definitely worth being in the list. 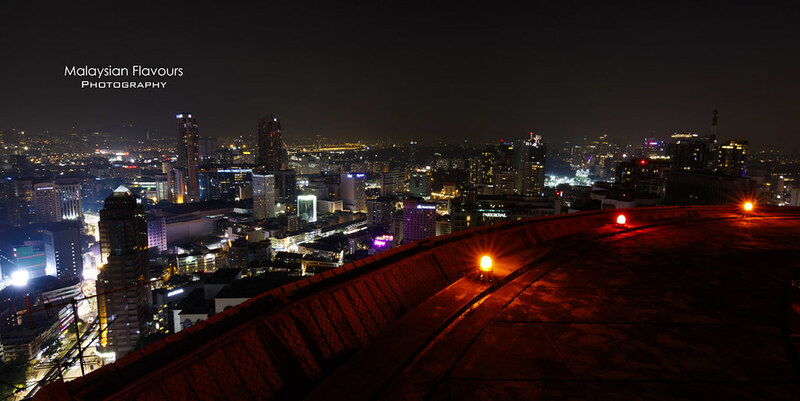 Located at the highest floor of Menara KH, Heli Lounge Bar is claimed to be “KL Best Kept Secret”. Still yes, but probably an open secret by now, as this place is so amazing that both tourists and locals flock here for exceptional “cocktail with a view” experience. Heli Lounge Bar is separated into two sections. 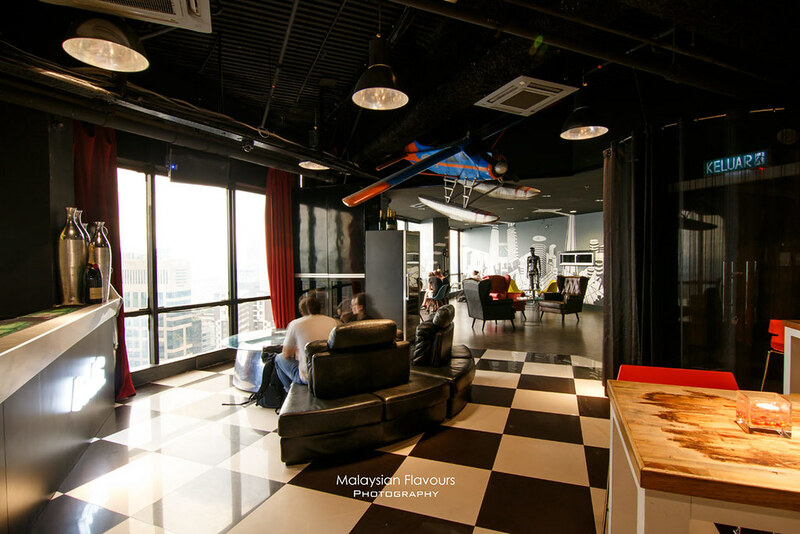 The 34th floor is an indoor space where guests can chill & relax in an aviation-themed interior, a ambience that lives up to its name. Even the staffs are dressed in pilot and cabin crews uniforms. Cool huh. Carefully walk up the stairs, for 2 floors, and there you go, the beautiful view of this hustle city is ready to welcome you! 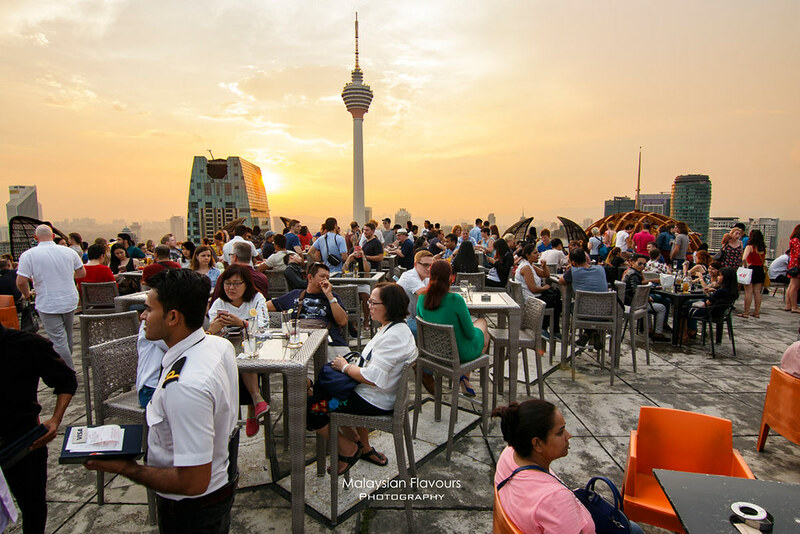 It is open air, right on a functional helipad which is used as landing area for aircrart by day, and transformed into a “sky bar on helipad” by night – memorable. 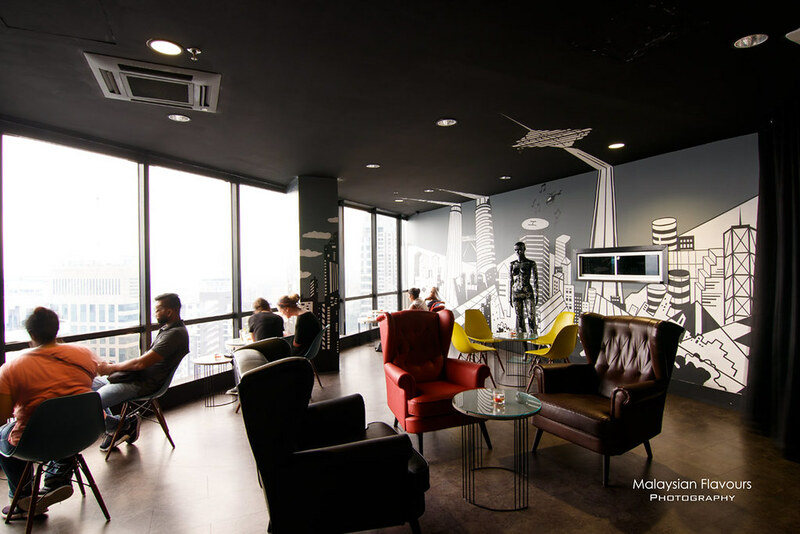 Not much design comparing to the indoor Heli Lounge, but probably not needed too, because the 360 degree of iconic Kuala Lumpur city view surrounding you is enough to be the real-life decor! Open bar music, chairs and tables, cocktails, fantastic view and great companions – cheers to turn the night alive. Heli Lounge Bar carries a long list of beverage, covering from beers to wines, cocktails, spirits, chilled juices, soft drinks, shooters and fresh juices. 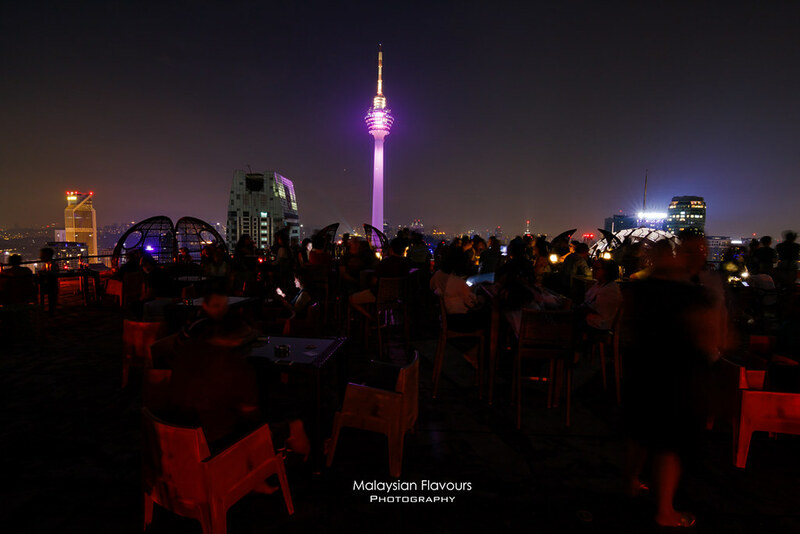 We sampled 3 of their cocktails – Hellusion RM33 (Vodka, Coconut Rum, Triple Sec, Pineapple, Lemon Juice); Dine in The Air RM36 (Rum, Midori, Celery); and Red Baron RM36 (Vodka, Red Wine, Orange, Green Tea). 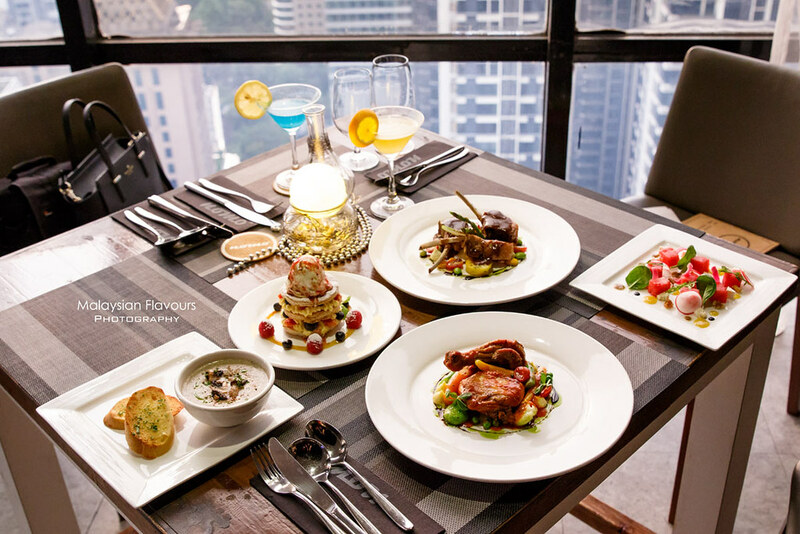 For food menu, selections aren’t extensive but delicious! 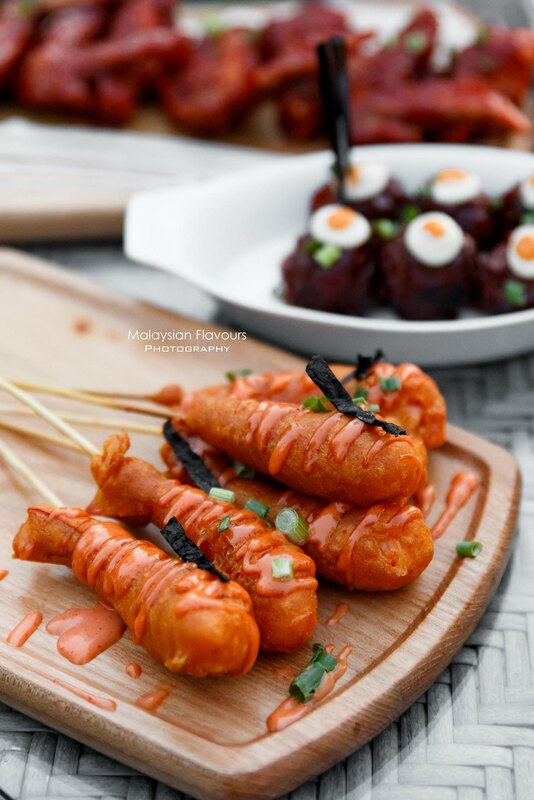 We first thought of just getting some light snacks while waiting for dinner but to our surprise, everything is so good, be it the Buffalo Heli Wings, Crispy Prawn Tempura or Barbeque Glazed Cheesy Meatballs. 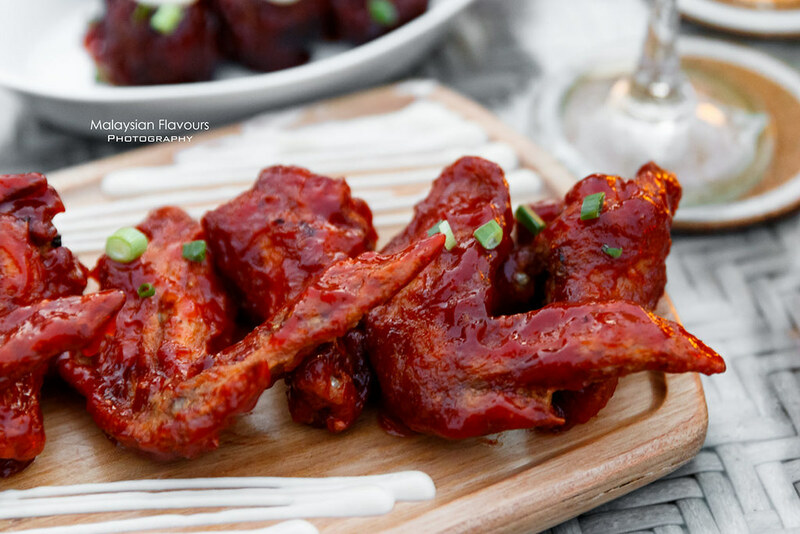 Buffalo Heli Wings RM26 – Chicken wings marinated in Oriental spices, deep fried to crispy outside, tender inside, further glazed with smoky barbecue sauce, and blue cheese sauce. Finger-licking good appetizers. Recommended. Crispy Curry Prawn Tempura RM26 is not bad too. De-shell Tiger prawns, jacketed with Asian Fusion crispy batter. Finished with cocktail Anised Mayo sauce. Bouncy, crispy, creamy and hints of spices aroma – love the specially concocted flavours. Paired well with beer. 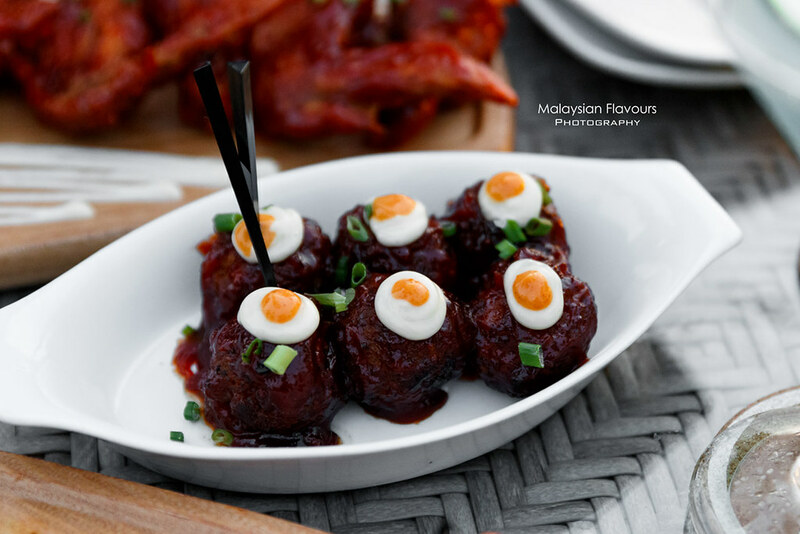 Last but not least, Barbecue Glazed Cheesy Meatballs RM26. A dish that is small in size, big in flavours. Juicy, meaty homemade Italian style meatballs stuffed with Mozarella cheese, lightly glazed with savoury-sweet BBQ sauce. 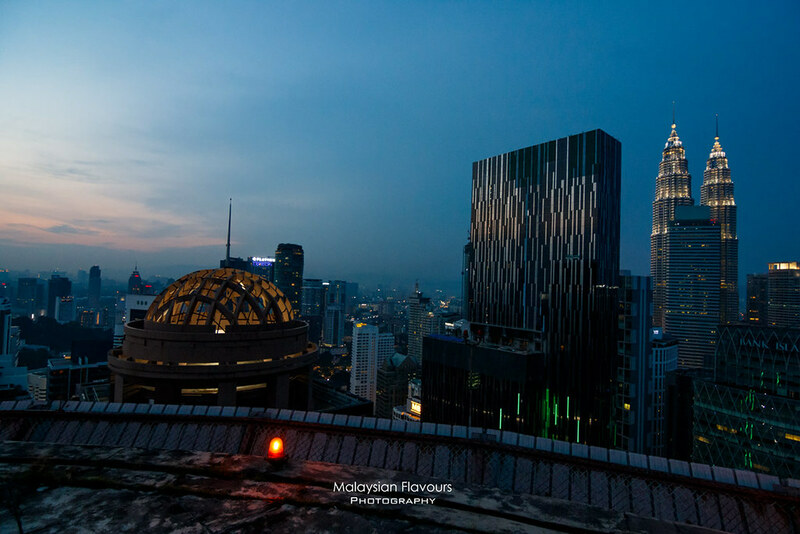 We moved back to 34th floor indoor after the sky turned dark, continued our weekend night with wonderful dinner at NOMO Restaurant – another hidden gem with nice KL view too! 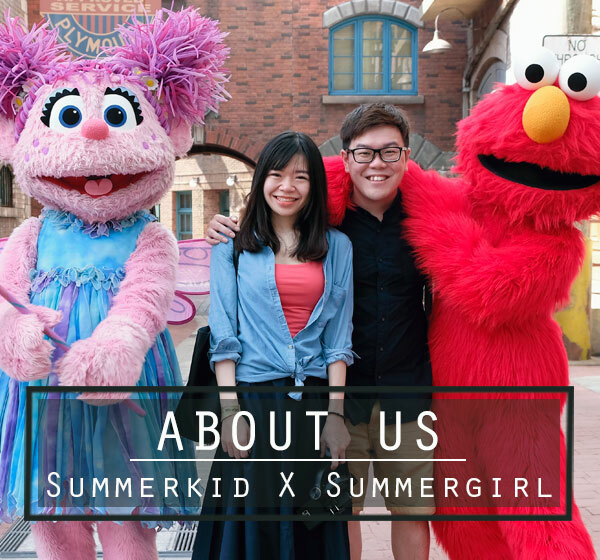 They have a full-fledge dinner menu, hence if you are thinking where to go for birthday celebration, or anniversary, this place is recommended! Will share a blog review about this restaurant soon! 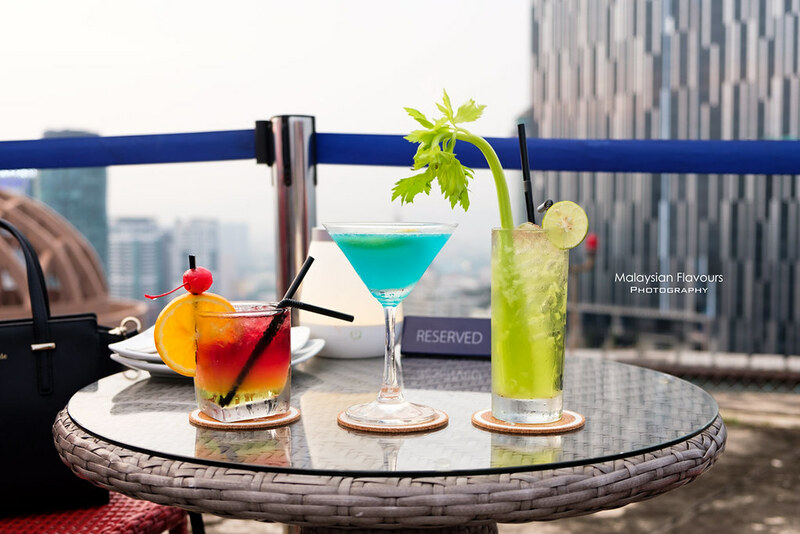 Happy Hours: 6PM-9PM is Heli Lounge Bar Happy Hour. Enjoy Happy Hour price for your beer, cocktails, wine and spirits. (Sun – Wed) No minimum spending. 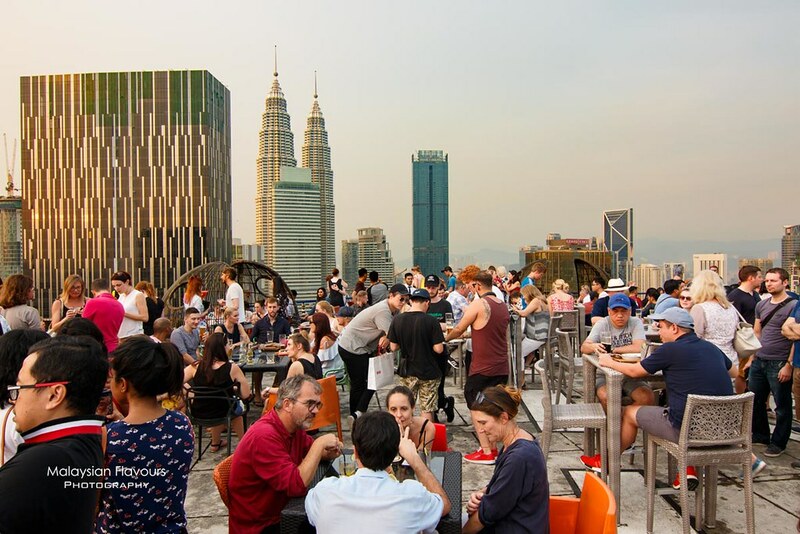 Order a drink and you can go up to Helipad Bar. (Thu – Sat) no minimum spending from 6PM-9PM. 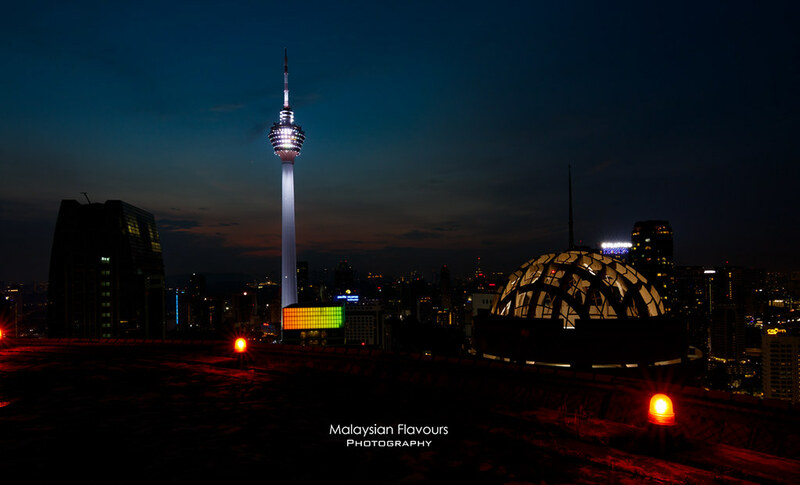 From 9PM onwards, RM100 minimum spending. Dress Code: Casual to smart casual (After 9PM). No Short, No Slippers, No Sleeveless Tops. Parking (*as of March 2018): You can park in Menara KH building, RM6 per hours, RM3 for every following 30 minutes. 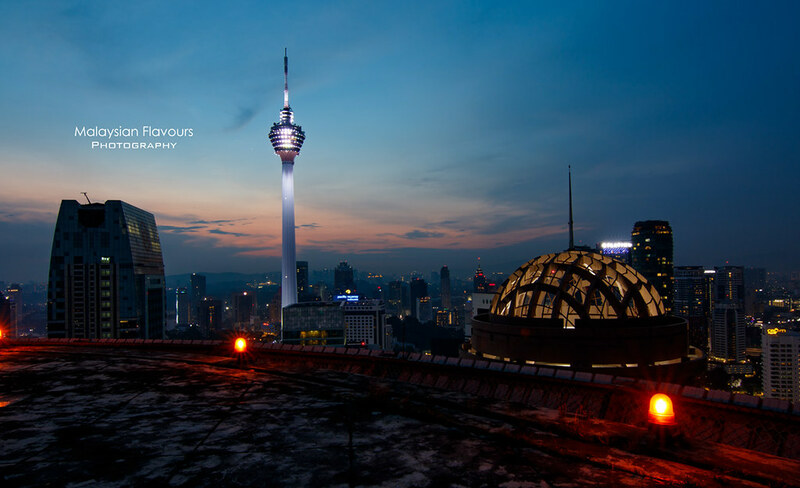 RM13 per entry on Sunday and Public Holidays. 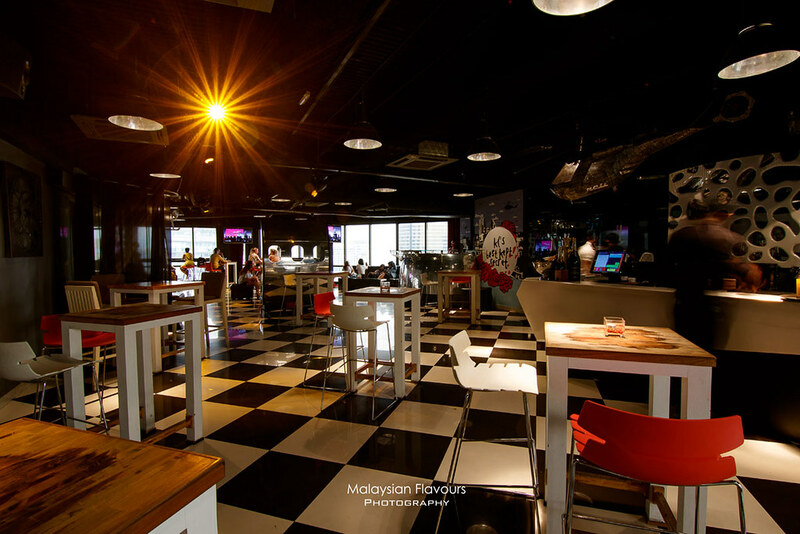 RM13 per entry after 6PM (*till 7AM) for Mon – Sat.